My oldest son of 4 boys will be attending college in the fall. We are very proud of his accopmplishments. He will be play football for Charleston Southern University. There will be times we will not be able to attend the games. He’ll definitely be sending us videos. I would use these at Gracie’s ball games. I’m a subscriber. Thanks! I would use it to capture my 10 month old grandaughter’s young life! This camera will be used for a family history interview with my aged grandparents to preserve a record of them for my children and posterity. I’m a subscriber. I’d use it for the birth of my daughter. Thanks for the chance. We’re planning on a trip to Disney World this summer, and I haven’t got any video memories of any of our vacations! I would videotape my niece and nephew and all of our summer excursions! Thanks! Would love, love, LOVE to win this for my best friend’s graduation! WOULD LOVE TO HAVE THIS WONDERFUL PRIZE! I subscribed! I go to a lot of concerts and music festivals, so I would us the flip to record and blog on them! I subscribe and I’d love to win this camera to video my boys baseball games. Thanks for the giveaway. If I was to win this camera, I would give it to my Father for Father’s Day. If I win, I’ll be taking lots of videos of relatives and friends, especially those that are getting older. I’d like to be able to remember them as I regret not taking any videos of my grandparents. I could really use a flip cam to record my youtube videos and record my trips to gaming events! I would film everything! My cousin recently went to Japan for 3 weeks and it was great watching his videos on YouTube. A Flip Slide HD would be perfect for that. I would film all of my son’s baseball games, as well as my daughter’s softball games. I won’t have them around for long as they will soon be going away and would like to record these memories for future viewing. I’m a subscriber. If I win, I would give this to my oldest son. I would use this to record all of the family get-togethers that my wife and I attend on holidays. 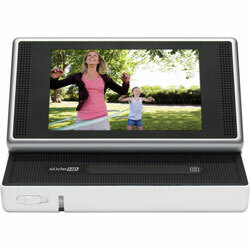 If I was selected as the winnner I would use the flip Slidehd to record my youtube tutorials. My dog is always doing funny things but I never get to my phone in time to film them. I’ve been thinking how awesome a flip camcorder would be, so this contest is great! If I won, I would use the camcorder to make home movies with my family! I’ve never owned a camcorder before, and after seeing old film of my family, I really want one for us, too. Thank you for the opportunity. I would use the camcorder to capture the horses when they run. I subscribed and would definitely be using it this summer to record all those great moments with our kids and our 1st grand child. If I had a Flip SlideHD, I’d take it with me to the Mermaid Parade and capture Coney Island’s most colorful event of the year. Im a subscriber, and I would use this to get as many memories and moments of my one year old daughter to share with all of my friends and family. I would love to win the Flip SideHD Camcorder to tape my boxer playing with her friends before one moves away that she’s played with since 8 weeks old. I would use the Flip SlideHD to take videos of cute puppies at my dog park! I’d get rid of my bulky camcorder and tape the kid’s events with my new handy camera! I would take lots of videos of the kids this summer and of our family vacation. I’d use my flipsideHD for my dog, Jackpot who constantly amazes me. I subscribe, and this would go to my mom so her and my father can capture family moments, and watch them when we leave. I would flip my kitties and my fiancee when they’re not expecting it. I’m a subscriber, and I’d use it to film my goofy labrador doing his pet tricks! I would tape my niece on her birthday. If I won this camera I would be taking a lot of pics of my kids and most likely uploading them for the family and extended family to see via the internet since we live so far apart and don’t get to see each other in person that often. I would gift this directly to my parents. Much better for capturing video of the grand kids than their clunky dv camcorder. Thank you for the chance to win. I am a subscriber. I would take the Flip SlideHD camera to the beach on vacation this year. What a great asset this would be while traveling. I could get video of my hydroplane while on the race course. We are in the adoption process so I know we’ll take lots of baby footage.